Ebay can be a great place to buy wooden, handmade, vintage, or discount natural toys. 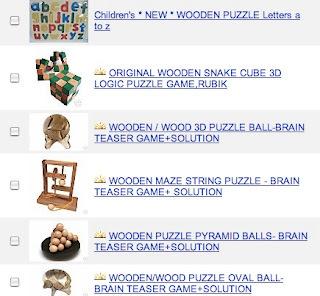 Everything from blocks to trains to puzzles is available on Ebay. Some toys are used and some toys are new in their boxes. Ebay is also a great source for handmade Waldorf dolls. If you are interested in learning how to save money while doing the laundry, please visit Green Options Tip o’ the Day: Clean the Lint Trap on Your Dryer and Save Energy! « Tip o' the Day: Clean the Lint Trap on Your Dryer and Save Energy! I have really been wanting to buy wooden toys. However, I have been concerned over lead paint issues and have not been able to find any not made in China. Any suggestions? Plan Toys are made of rubber wood and use non toxic paints. They are made in Thailand, and I love them!